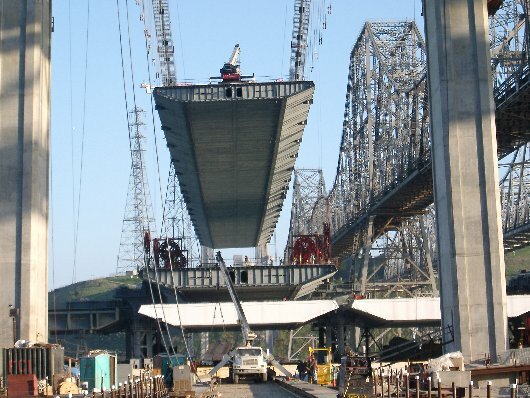 The deck sections of the new Alfred Zampa Memorial bridge, spanning the Carquinez strait, were build in Japan and transported by heavy-lift vessels to the construction site. 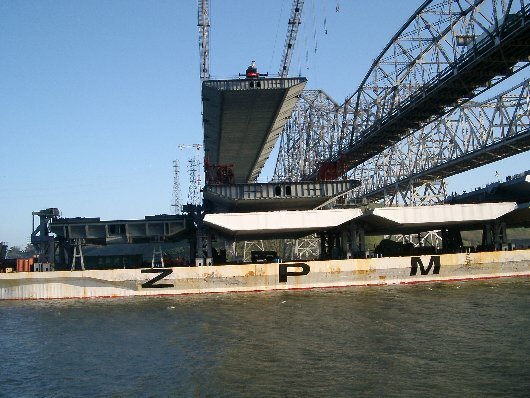 In January and February of 2003, a total of 24 deck sections were transported with 3 different ZPMC ships. 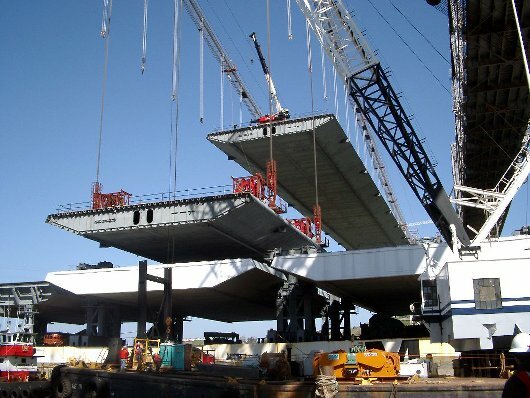 The sections were stowed and secured on custom designed and built support towers. 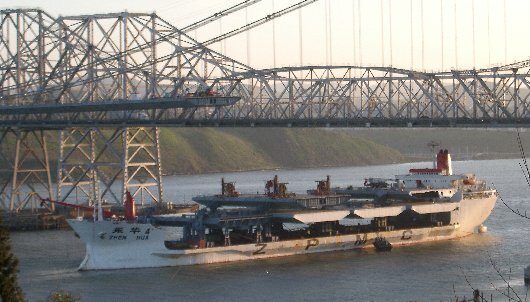 Upon arrival, the transport vessels were moored under the suspension wires and, using strand jacks, each deck section was lifted up and attached to its hanger wires. Argonautics Marine Engineering, Inc. became involved at an early stage to validate the proposed transportation concept and to verify the initial assumptions with respect to design environmental criteria, ship deflection in waves, design motions, forces on the deck sections, etc. A comparative study was done for the various potential heavy-lift ships bidding on the job. Details such as route selection, relative movement between the deck sections and the support towers due to ship deflection, deck section immersion and wave slamming against the overhang were studies and discussed. ■ Study on overhang immersion and wave slamming versus deck sections support tower height.